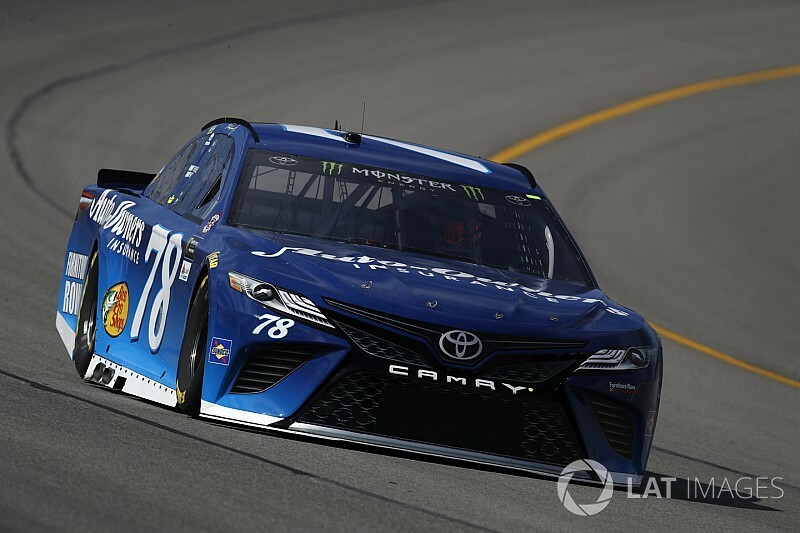 Martin Truex Jr. set the pace at the start — and the finish — of the second practice for the Firekeepers Casino 400 at Michigan International Speedway. Truex’s single-lap speed was 198.385mph topped the speed chart on Saturday morning. Kyle Busch was second quick followed by Jimmie Johnson, Ryan Blaney, Kevin Harvick, Brad Keselowski, Kyle Larson, Erik Jones, Joey Logano and Dale Earnhardt Jr.
Just after the 15-minute mark, Jones eclipsed his Furniture Row Racing teammate with a lap of 197.212mph. But the rookies time atop the speed chart was short-lived as Kyle Busch bumped him with a lap of 197.938mph. Half-way into practice, Kyle Busch remained the fastest in single-run laps, Blaney moved up to P2 (197.320mph) with Jones, Earnhardt (196.942mph), Truex, Logano, Harvick, Larson and Clint Bowyer rounded out the top 10. Johnson jumped up to second at the 32-minute mark with a lap of 197.341mph but on his next lap, he lost control of the No. 48 Chevy coming off of Turn 4 barely missing his Hendrick Motorsports teammate Kasey Kahne who was running right behind him. Johnson avoided the wall but came through the grass and damaged the splitter. The team elected to go to a backup car. 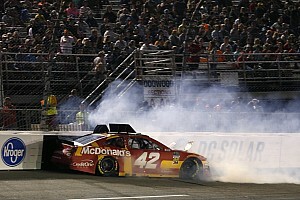 “I got loose into Turn 3 and fought it for a long time and unfortunately came around,” Johnson said. “Did a nice job of keeping it off the outside wall, but came back down the hill and into the grass and the front end dug in pretty good. 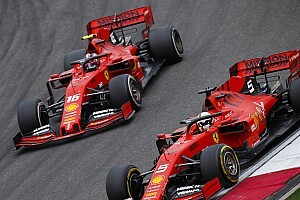 I’m pretty surprised the guys feel like the damage isn’t too bad and they can get that stuff pulled back out and get the shape of the body back. NASCAR yellow-flagged practice but cars were back on the track 36 minutes to go and Kyle Busch leading the session in single-lap runs. With 15-minutes remaining Truex vaulted to the top of the speed chart with a speed of 198.385mph. Kyle Busch was second followed by Johnson, Blaney and Keselowski. Five minutes later, Harvick moved up to fifth with a lap of 197.287mph. Kyle Busch (196.876mph) had the fastest Best 10 consecutive lap averages. Larson was second (196.095mph) followed by Hamlin (195.901mph), Jones (195.714mph) and Harvick (195.684mph). Johnson, Earnhardt, McMurray, Kahne and Suarez rounded out the top 10 speeds in the category. Jamie McMurray for being late to pre-qualifying inspection. Ty Dillon, Ryan Newman and Matt DiBenedetto for failing pre-qualifying inspection multiple times. Drivers Jimmie Johnson , Martin Truex Jr.